At Blax Kitchens we have a large range of sinks and taps that work in harmony not only with each other but with the rest of the kitchen. Do you know what type of sink and tap you would like? For example we have stainless steel undermount sinks and rinse spray taps. Talk to one of our designers who will guide you through what is available and what will work best for you and your kitchen. We are authorised suppliers of the full range of Blanco sinks. 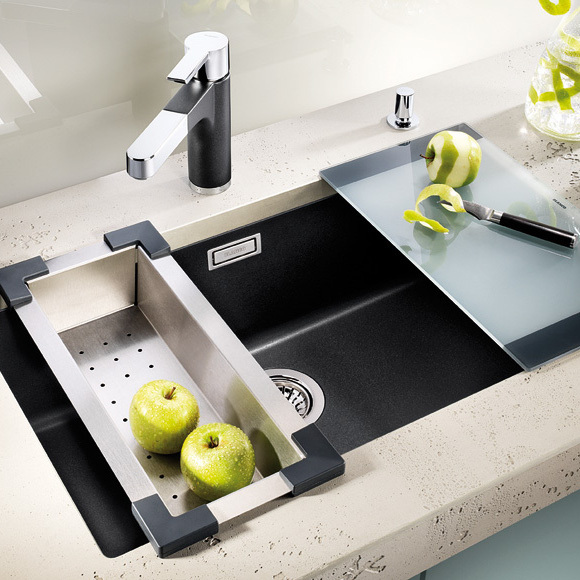 They are a premium quality German brand with a large variety of sink designs to compliment any kitchen. Materials include; stainless steel 18/10, composite and ceramic. Styles include; inset and undermount. 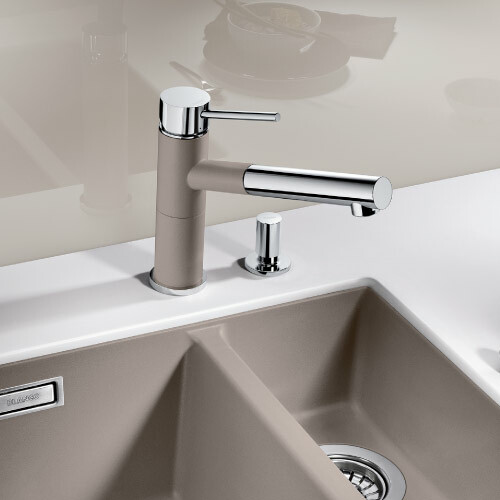 As with the Blanco sink range, the Blanco tap range is an incredible selection of high quality luxury taps to add to the finish of your new kitchen. There is a large range of mixer taps, dual taps, boiling water and spray taps. The Quooker tap is an ideal solution for all basic applications in the kitchen from making a cup of tea to melting chocolate for that delicious cake. 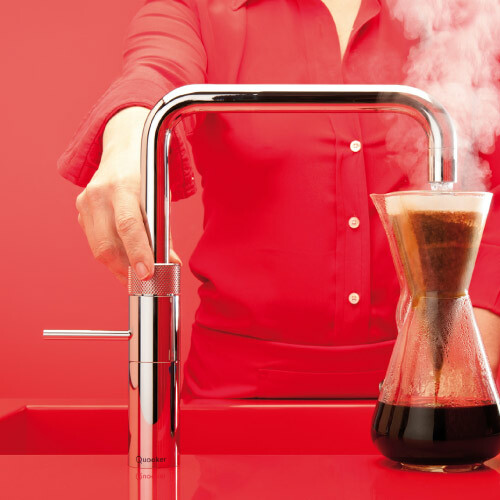 The tap immediately dispensed boiling water from a touch of your hand.